I've been on the Drugstore foundation reviewing hot trail as of late, this year has been 1 foundation after another, so you could also call it a battle at the drugstore! Show down FOUNDATION! So when this foundation came out from L'Oreal I knew I had to get it, just something about the "Pro-Matte" claim was intriguing to me. So I got it in 2 1\2 weeks ago and I've been testing it out on and off and than this last week for the whole week I've wearing this with primers underneath and different finishing powders on top and than trying it all on it's own. 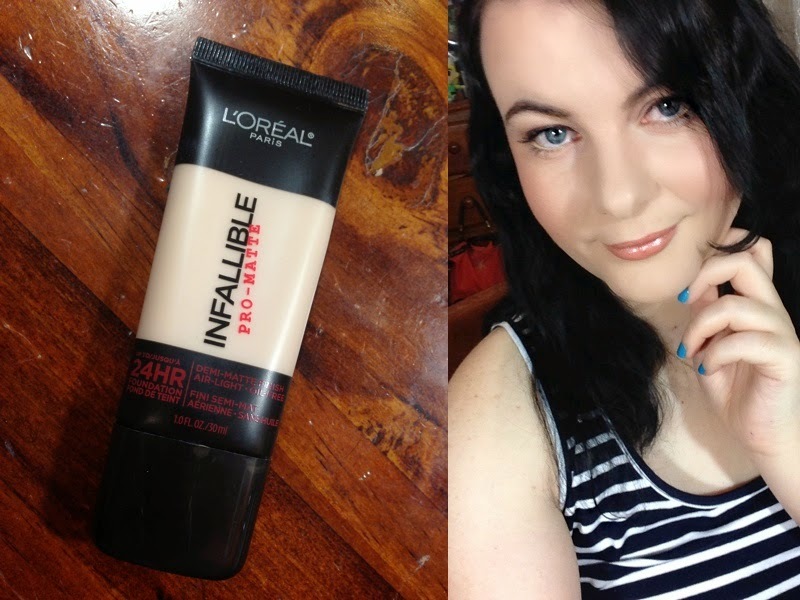 So after my week of testing, I have my thoughts on wether this latest foundation is worth a try!